"Dear Sheila and family, we are very sorry for your loss...."
OAKLAND - It is with great sadness that the family of Leon William Loucks, 75, announces his passing after a brief illness on Monday, Aug. 27, 2018 at the Country Manor Nursing Home in Whitefield. He was born Dec. 3, 1942 in Oakland, the son of William C. and Doris V. (Lewis) Loucks. Leon worked his school summer years doing yard work and haying fields in Smithfield. 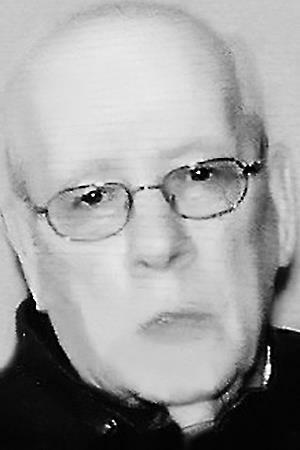 After Graduating from Williams High School in Oakland, he worked for Diamond National in Oakland and for Fuller Brush sales until he worked for the Waterville Sentinel for over 17 years. He became interested in the mental health field a few years later and began working as a mental health counselor. He also attended the University of Maine in Augusta to earn his BS degree in Social Sciences until early retirement in 1999. Leon enjoyed sports. While his children were in school, he did parent voluntary coaching for the school sports program. Leon worked with his Dad in 1968 and 1969 designing and building the family home in Sidney where his family lived until he became ill in 1999. Upon retirement, Leon and Sheila lived in Waterville until they bought their retirement home in Oakland. Leon will be lovingly remembered by his wife, Sheila York Loucks of Oakland and by his children, Laurie and husband, Gregory Roberts of Baxter, Tenn., Boyd Loucks of Waterville, Brian Loucks and wife, Bridgette, of Oakland and Trena and husband, George Cousins, of Smithfield. Leon will also be forever remembered by his six grandchildren, Anthony Loucks of Winslow, Dameon Loucks of Augusta, Kody Loucks of Skowhegan, Dustin Loucks and Drake Loucks, both of Oakland and Kylee Loucks of Fairfield. One great-grandson, Connor Loucks and one great-granddaughter, Natalee Loucks, both of Augusta. Leon is survived by two sisters, Gloria (Richard) Luce of Cape Elizabeth and Charlotte (Edward) Tardiff of Sidney; and one brother, Christopher (Wendy) Loucks of Hancock. He was predeceased by his parents, William C. and Doris V. (Lewis) Loucks; one brother, William Loucks; and one sister, Helen (Joseph) Dubois; as well as his son, David Earl Loucks "Dee Dee". Leon will be placed with his family members at the Lewis Cemetery in Oakland. A private service will be held at a later date at the convenience of the family. Arrangements under the direction and care of Dan & Scott's Cremation & Funeral Service, 445 Waterville Road, Skowhegan, Maine.